A couple of weeks ago, I had a lovely day out in London with my mum and brother. We went to The British Museum, got Laduree macarons (which are divine), visited Hamleys and walked around London. Whilst we were walking to Hamleys I spotted Liberty London and really want to go in there, as it is a beauty bloggers heaven. I went straight to the beauty department and "accidentally" found myself at the NARS cosmetics counter. 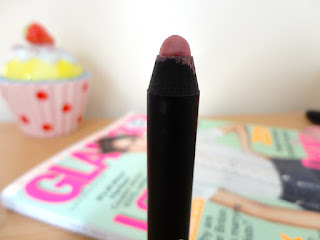 I have been wanting for ages to buy one of their Satin Lip Pencils but have always talked myself out of it: it's too much money, there are other things I could spend the money on, and so on and so on... After seeing how good it all looked in person I caved really quickly and my resolution broke. I knew exactly what shade I wanted to buy and when I tried it on, I couldn't have been happier. I discovered Rikugien a while back when looking through the NARS website and loved the shade, it looked stunning. 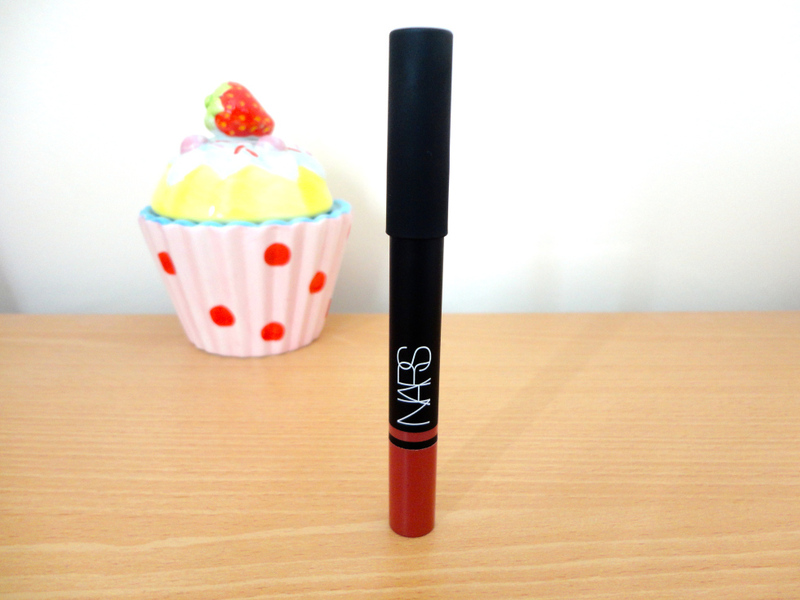 The colour is rosy pink and adds a natural shimmer, the pigmentation is stunning and adds such definition to my lips. It highlights my natural lip colour, whilst enhancing it with a beautiful glittery shine. It's not the boldest colour out of the NARS satin lip pencil collection, but it is a shade that you can wear everyday and never have to worry about it being too much. It isn't a too pale colour, it adds just enough brightness to your lips and makes them stand out more. The texture is really creamy which helps hydrate your lips and soften them at the same time. The lightness of the lip pencil means it doesn't feel too sticky or as if it has been plastered on your lips. Also just because it feels light, it does not mean that it doesn't last as long as other brands' lip pencils. The longevity is impressive and doesn't fade away after an hour. 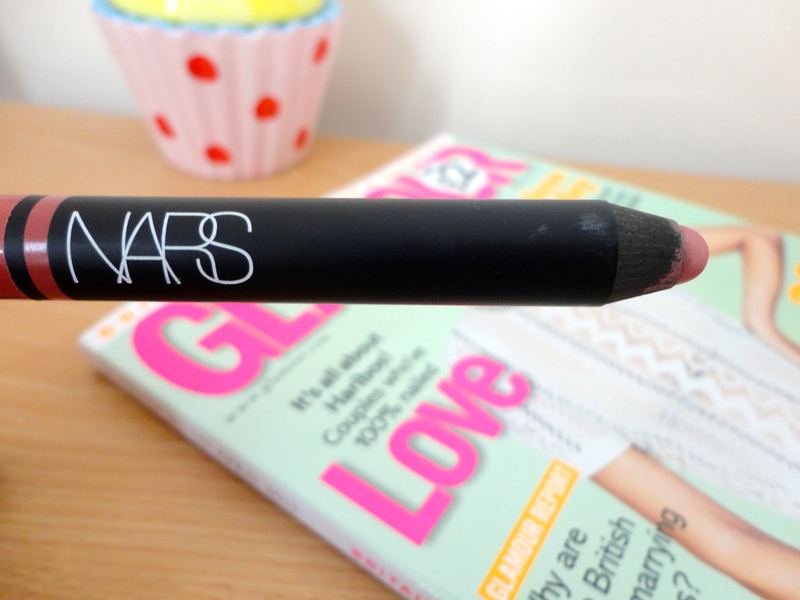 The quality of NARS satin lip pencils is beyond amazing and certainly worth every penny you pay for it. I have already used it so much and it hasn't gone done that much, I have yet to sharpen it. The only improvement that I would make on the product, is that it be like other lip crayons where you twist it as you run out. I think it's probably because it makes it more obvious when the lip pencil is towards the end and also I think the whole idea of sharpening is slightly messy. 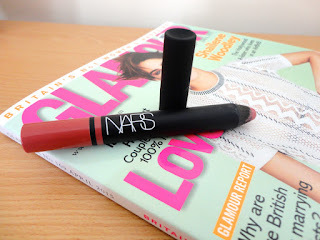 I really want to buy more NARS lip pencils, I particularly like the shades: Biscayne Park, Descanso and Stourhead. I also have a very long list of their Audacious lipsticks that need to find their way into my makeup draw. Marisa, Anna, Anita, Brigitte, Raquel, Julie, Juliette, Natalie, Kelly and Grace are all amazing colours, so basically I want all of the Audacious lipsticks.